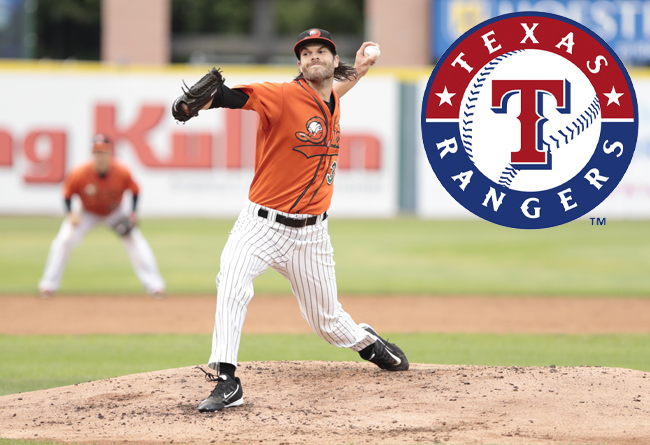 (Central Islip, N.Y., July 8, 2016) – The three-time Atlantic League champion Long Island Ducks today announced that left-handed pitcher Jack Snodgrass’ contract has been purchased by the Texas Rangers organization. The first-year Duck will report to the team’s Triple-A affiliate in Round Rock, Texas. Snodgrass, who was selected to the Liberty Division roster for the Atlantic League All-Star Game, ranked among the league leaders in several categories. He was second in the Atlantic League with 85 strikeouts and 14 starts and was tied for third with six wins. The southpaw posted a 6-6 record with a 3.79 ERA in 78 and one-third innings of work. 10 of his 14 outings were quality starts, including five consecutive starts from May 22 through June 15. The Kentucky native also struck out five or more batters in 11 starts, including a career-high 12 on May 11 against Somerset. The 28-year-old joined the Ducks after spending five seasons in the San Francisco Giants organization. He split time with Double-A Richmond and Triple-A Sacramento in 2015, combining to post a 5-5 record and a 4.35 ERA in 17 games (11 starts). His best season came in 2013 with Double-A Richmond, when he compiled a 12-4 record with a 3.70 ERA in 25 starts and struck out 81 batters in 141 innings of work. For his efforts, he was named both a Mid-Season and Post-Season All-Star in the Eastern League. The hurler also earned Mid-Season All-Star honors with Richmond (2014) and Advanced-A San Jose (2012). Snodgrass was originally drafted by the Giants in the 27th round of the 2011 amateur draft. Snodgrass becomes the fifth Ducks player to have his contract purchased by a Major League or foreign organization in 2016. He joins pitchers Mark Blackmar (Washington Nationals) and Bruce Kern (Kansas City Royals) as well as infielders Nate Freiman (Boston Red Sox) and Mark Minicozzi (Vaqueros Laguana, Mexico).